How do I share assignments on Google Classroom? Sharing assignments is easy if you use Google Classroom and have already imported your classes into Edpuzzle. You can post assignments directly to Google Classroom from Edpuzzle in one of two ways. In the "assign" pop-up window of a video, select the classes you'd like to post your assignment to Google Classroom for. At the bottom of the window, click the button next to "Post on Google Classroom" so the green check mark appears (not the red X). Click the blue "Assign" button and you're done! 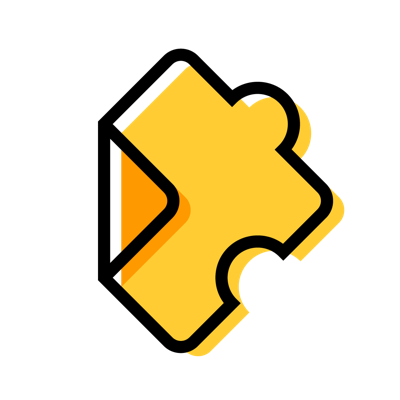 Go to your Google Classroom connected class in Edpuzzle. Click the assignment you wish to post to Google Classroom. Go to the right-hand side of the assignment's page and click the "Post on Google Classroom" button. Now your assignment will be available directly on Google Classroom! Note: If you want to schedule an assignment for the future, remember to set a start date BEFORE you post your assignment to Google Classroom. For more information, check out our article on what to do if you've accidentally assigned a video that needs to be edited. How do I edit a video lesson I've already assigned? In Edpuzzle, you can't edit a video that has already been assigned. Go to the "Content" tab, then click on "My Content" in the left side menu. Hover over the video you want to copy and click the copy icon. Click the edit icon on the copied video. Edit the video, then click "Finish." Assign it to the class again. Go to "Content," select the original video and delete it (unless you want to keep both). Note: By deleting a previous video, all student data associated with that video will also be deleted for privacy reasons. How do I set a start date, due date, start time or due time? Once you're ready to assign an article, you'll see a pop-up with "Assign to a class" at the top. Here you'll see "Start Date" on the left and "Due Date" on the right. To set a start date, click on the left box labeled "Start Date." Here you can select a start date from the calendar pop-up. The start date defaults to today. To set a start time, while in the same calendar pop-up, in the bottom left you'll see "Hour" and "Minute." Use the arrow keys to set the start time and click the button to choose a.m. and p.m. Select the start date and start time and you're good to go! Note: Remember to select the class and choose if you want to prevent skipping! Once you're ready to assign an article, you'll see a pop-up with "Assign to a class" at the top. Here you'll see "Start Date" on the left and "Due Date on the right. To set a due date, click on the left box labeled "Start Date." Here you can select a due date from the calendar pop-up. The due date defaults to today. To set a due time, while in the same calendar pop-up, in the bottom left you'll see "Hour" and "Minute." Use the arrow keys to set the start time and click the button to choose a.m. and p.m. Select the due date and due time and you're good to go! You might also be interested in our article on how to assign videos. How do I share assignment links with my students? While in the "My Classes" view, click on the class you want to send an assignment link to. Click on the assignment you want to share. Click on "Share assignment" in the menu on the right-hand side. From here, you can copy the link and paste it into your LMS or wherever your students will see it! Note: Assignment links are class-specific, meaning if you've assigned a video to multiple classes, each class will have a unique assignment link which will only work for students in those classes. To learn more, check out our article on how to embed a video assignment into an LMS, blog or website. How do I assign video lessons to multiple classes? In the "Assign" window, select the classes you want to assign the video to, click “Assign” and all the checked classes will be assigned the video. When you assign an Edpuzzle lesson to multiple classes, you'll have a different assignment URL for each class. If you share a link from the wrong classroom with a student, they may be added to that class instead of their own. Go to the "My Classes" tab and select a class. Click on your assignment, and select "Share assignment." This will give you the URL for that specific class's assignment. Do the same thing for each of your classes to find their unique links. If you want to re-assign an already-assigned video to the same class, you'll need to copy the video, make the changes you'd like and then assign it again. You might also be interested in our article on what to do if you need to edit a video you've already assigned.